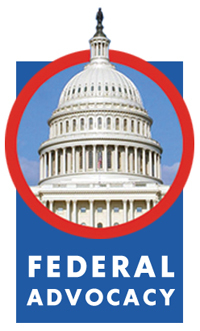 We urge Congress and the Administration to reverse the decline in federal participation in funding municipal water infrastructure needs by developing a financial option that strikes the right balance between local responsibility and federal assistance, including reauthorization and full funding for the Clean Water and Drinking Water State Revolving Loan Fund programs. Congress should also provide full appropriation to the Water Infrastructure Finance and Innovation Act (WIFIA) for loans and loan guarantees for water infrastructure projects, as well as permanently establish the program beyond a pilot program. We support policies that grant administrative control of programs, projects, and use of tax revenues to the lowest and most directly-connected level of government as possible. Local governments are best suited to administer programs and monitor programs for the benefit of local citizens. Activities by the federal government that impede the ability of local governments to manage franchising, zoning, permitting, local licensing, and local code development stymie the growth of local economies and cities. We call on Congress and the Administration to provide financial and technical assistance to local governments to help implement the applicable recommendations of the Task Force on 21st Century Policing. Further, we urge the Department of Justice to work closely with local leaders to help implement relevant recommendations that are most needed in their communities. We support a comprehensive multimodal national transportation program which recognizes the central role that transportation plays in local economies and provides full funding for infrastructure initiatives that promote long term outcomes, protect the environment, create jobs and help the economy grow. Congress and the Administration should take immediate action to ensure the sustainability of both the highway and mass transit accounts within the federal Highway Trust Fund. Because it provides funding directly to cities and allows local autonomy and flexibility, the Community Development Block Grant (CDBG) is the most effective form of federal assistance currently available to local governments. As it is critical to the life of our communities, CDBG should be funded at current or enhanced levels. We oppose any attempt to eliminate or limit the traditional tax exemption for municipal bonds, whether as a part of a deficit reduction plan, a push for comprehensive tax reform or as an offset for new spending. We strongly support federal housing policies that encourage affordable homeownership, promote affordable rental housing, and provide special needs housing and transitional housing for the homeless. We urge the federal government to fully fund federal housing programs at current or increased levels. We call on Congress to close the online sales tax loophole and pass e-fairness legislation to place brick-and-mortar community businesses on a level playing field with online retailers and afford consumers more choice through fair competition. Allowing local governments the flexibility to collect the taxes already owed to them on remote online purchases removes an unfair disadvantage for local businesses, while helping cities close budget gaps. Collecting owed sales taxes means more money for basic services, such as roads and police officers, without increasing the overall federal deficit. No state is more directly impacted when federal domestic and military spending is reduced. We oppose the mandatory across-the-board cuts required by sequestration and urge Congress to adopt a federal budget that balances spending needs in a reasoned manner. The federal government should uphold fundamental principles of equality and the rule of law, and address, by enforcing the laws, acts of bias, bigotry and racism. We also urge the development and dissemination of clear guidance so that communities may address present or past racial discrimination.